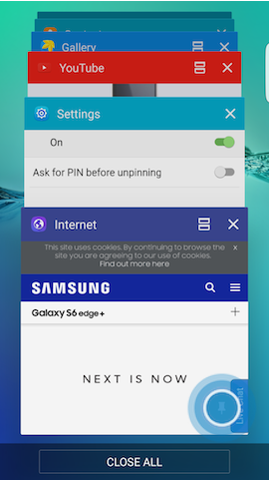 Galaxy S6 edge+: How do I pin applications to the screen on my Samsung Galaxy S6 edge+? 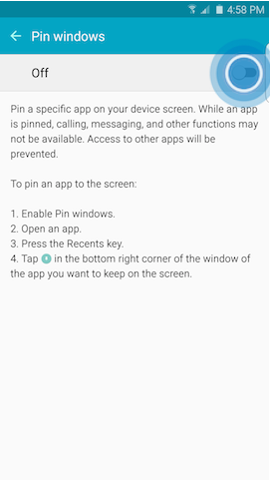 To pin an application, follow the steps below to turn on pin windows, and then to pin an application to the screen. 3. 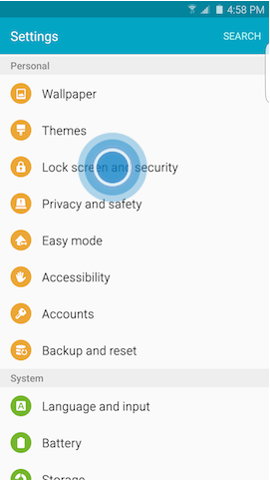 Scroll to and touch Lock screen and security under the Personal tab. 6. Touch the slider to turn Pin windows on . 7. 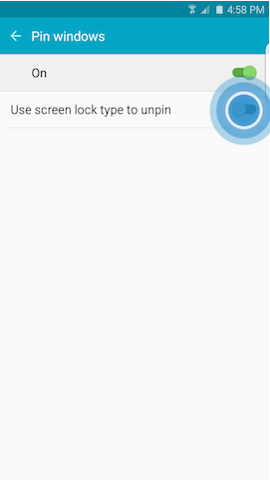 To unpin using a screen lock, touch the slider next to Use screen lock type to unpin to turn it on . 8. 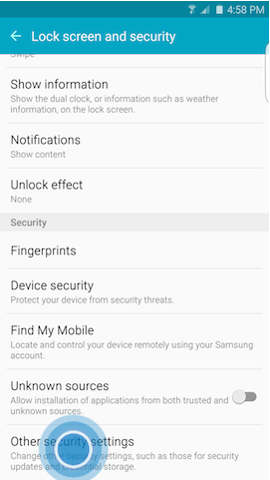 Touch the screen lock type you want to use, and follow the on-screen instructions for setting it up. Note: Calling, messaging, and other functions may not be available while an application is pinned to the screen. Access to other applications will be prevented. 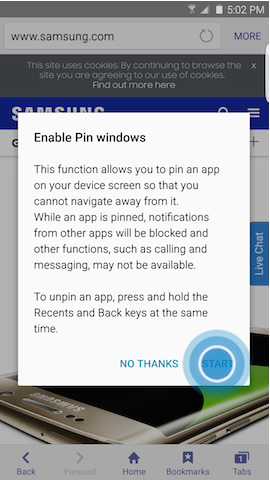 With the Pin windows feature turned on, you can pin an application to your screen. 2. Touch in the bottom-right corner of the application window. 4. 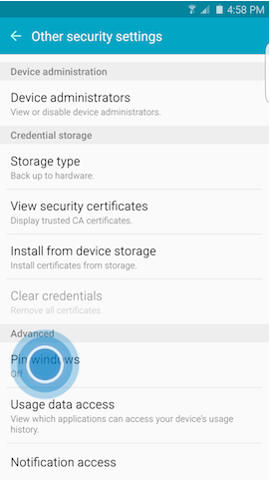 The application will pin to the screen, and your device will display the Application locked on screen message. 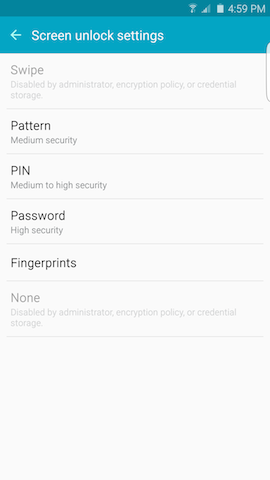 You can set up a screen lock as described in the Turn On Pin Windows section above to unpin an application, or you can touch and hold Recent and Back on your device simultaneously. The application will unpin from the screen, and your device will display the Application no longer locked on screen message. Galaxy S6 Edge+: How do I activate the Night clock feature on my Samsung Galaxy S6 Edge+? 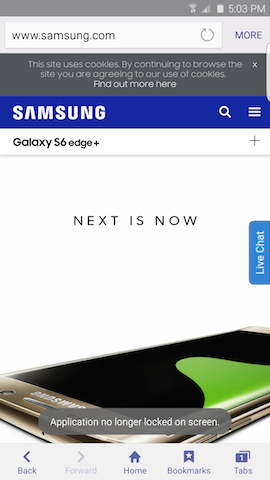 How do I open the Edge Screen and reposition the Edge handle on my Galaxy S6 edge+?